Enlightenment Capital has invested in System High to help drive the security company’s growth efforts in the government and commercial markets. Chantilly, Va.-based System High offers security engineering, cybersecurity, proactive protection and counterintelligence services, Enlightenment said Tuesday. 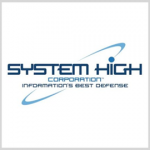 Jason Rigoli, an Enlightenment Capital partner, said System High will be the initial investment of a new platform designed to secure the technology that supports sensitive programs for defense, intelligence and commercial clients. System High founder Kirk Blubaugh will serve on the board of the directors and as strategic adviser at the company, which holds positions on the GSA Schedule and Seaport-e contract vehicles. The investment came three months after Enlightenment launched national security firm Everwatch.